I'm used to being the listener. Being the interviewee was new. 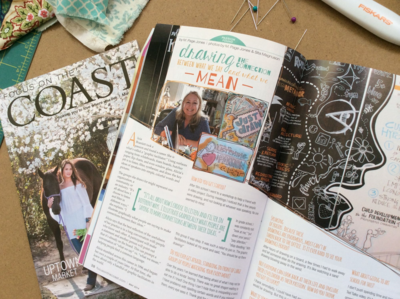 Melissa Jones, friend, author, and shoe collector interviewed me for Focus on the Coast, a local magazine. Melissa's idea was to write about how I've combined my skill for listening and passion for art into a career as a graphic facilitator. Melissa asked something about how my work as a graphic facilitator affected my art. The answer was handy as I've given this some thought. Graphic facilitation isn't all about the art but it is an important part of the practice. I enjoy doing my job well and to me that means practice, practice and improvement. Since I picked up the whiteboard markers in the late 90s I've watched my practice improve. Improvement on the job encouraged me to pick up the pencil and paint brush again, to try again and again. Besides, being afraid of what I couldn't draw was a habit that needed breaking. Being afraid got boring. After all, there was no dragon waiting to eat me if I tried. That's what I told Melissa. Such a realization might have been followed by a big build up to slaying the dragon; meditation, ritual, a snappy outfit and weapons. 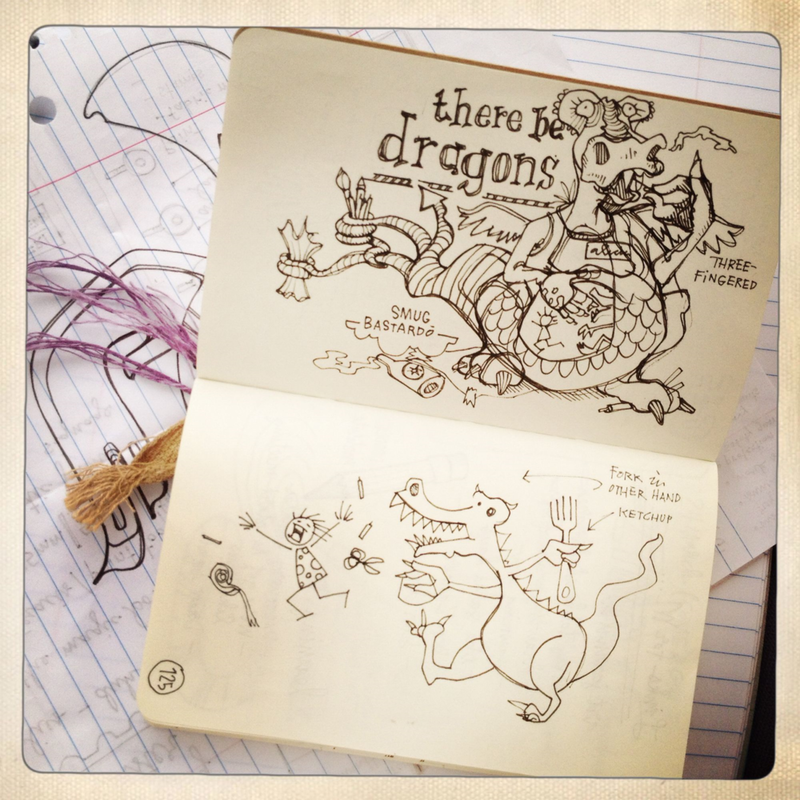 Instead, I asked the dragon to pose for drawings. She obliged. Here's the sketchy sketch from my journal. 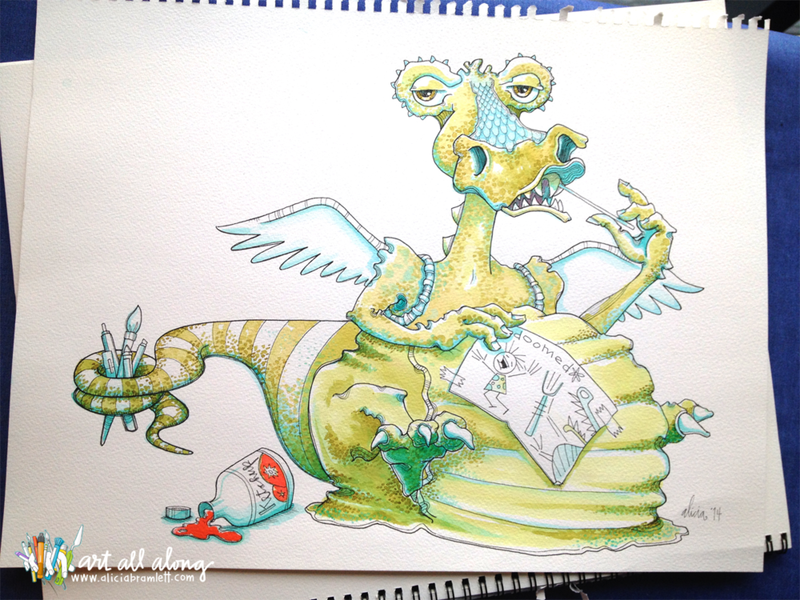 Grabbing ahold of one of the dragon's more spikey bits labeled 'watercolor painting' I created a more finished piece. Isn't she fabulous?! I especially like the sort of 'Jabba the Hutt' puddle she's got spreading out there. No telling how many scaredy-cat-would-be-artists she's lunched.